Photo of the Week. 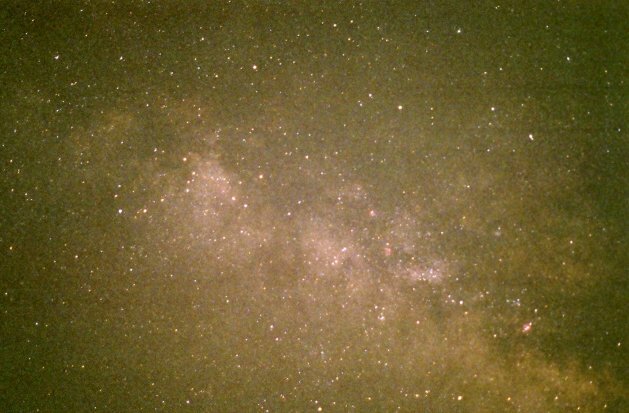 The Milky Way, running from Scutum to northern Sagittarius, shows off its dark dust clouds and reddish interstellar nebulae. See the full page and full resolution. Astronomy news for the week starting Friday, August 14, 2009. The Moon slips through its waning crescent phase this week as it heads toward new on Thursday, August 20. The last view of the morning crescent will probably be the morning of Tuesday the 18th with the Moon just below Gemini's Castor and Pollux, though under very good conditions, it might be spotted the following morning as well. Be sure to admire the Earthlight reflected from the nighttime side. On Tuesday the 18th, the Moon passes perigee, where it is closest to the Earth. The waning crescent will present a fine sight along with Mars and Venus . On the morning of Sunday the 16th, it will lie just down and to the left of the red planet, while the following morning (Monday the 17th) finds the Moon in a near-classic pairing with very bright Venus, the crescent just above the planet. 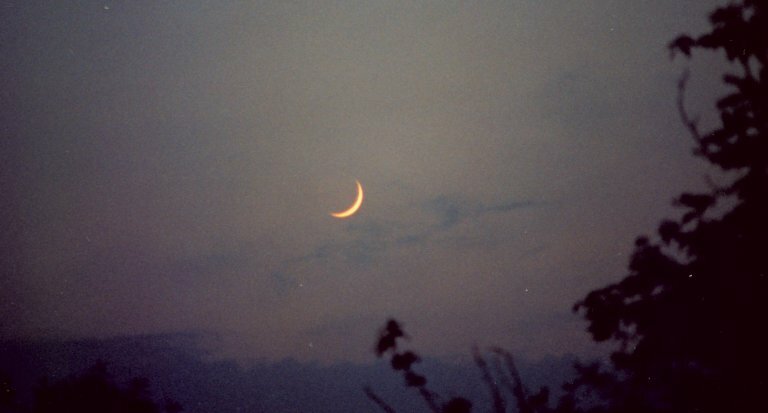 The next morning, that of Tuesday the 18th, the Moon will lie down and to the left of Venus. Mars, now rising around 1:30 AM Daylight Time, finally scores its goal later in the week by passing between the horns of Taurus (Beta and Zeta Tauri), while Venus, rising two hours later, will be moving rapidly through central Gemini, the planets, the bright constellations, and the Moon all making for a most charming sight. The evening of course gives us Jupiter, which begins the week in opposition to the Sun, rising at sunset, setting at sunrise, crossing the meridian to the south at local midnight (1 AM Daylight), and moving with maximum retrograde motion against the stars of northeastern Capricornus. Saturn is about gone, though with binoculars you might spot it to the west in evening twilight. The evening of Tuesday the 18th, the ringed planet will pass just three degrees north of Mercury, which is making a poorish appearance. In more or less "invisible news," Neptune, just east of Jupiter, passes opposition to the Sun on Monday the 17th. With the Moon gone from evening, a dark sky shows a spectacular Milky Way as it comes out of Cygnus, falling to the south through Aquila and Scutum and then into Sagittarius. Look to the south for that constellation's upside-down "Little Milk Dipper," with its handle plunged into one of the brightest parts of the Milky Stream not far from the center of the Galaxy itself.